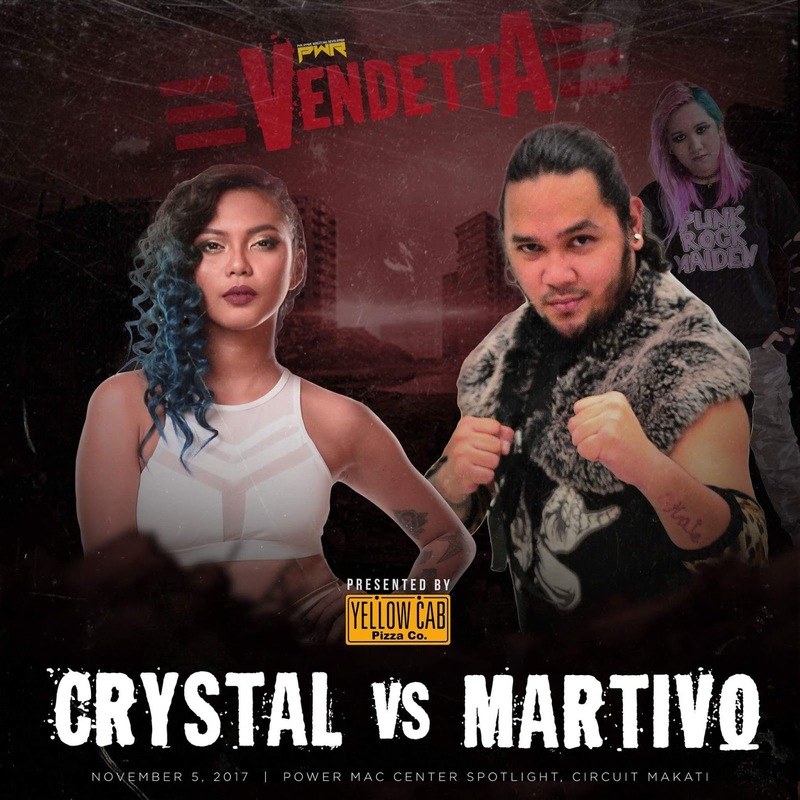 Coming at you live from the beautiful Power Mac Center Spotlight in Circuit Makati, it's the Philippine Wrestling Revolution's year-end extravaganza, Vendetta. We've got all the results from this mega-card presented by Yellow Cab Pizza for all you jabronis who couldn't make it to the show. Here's how the show went! 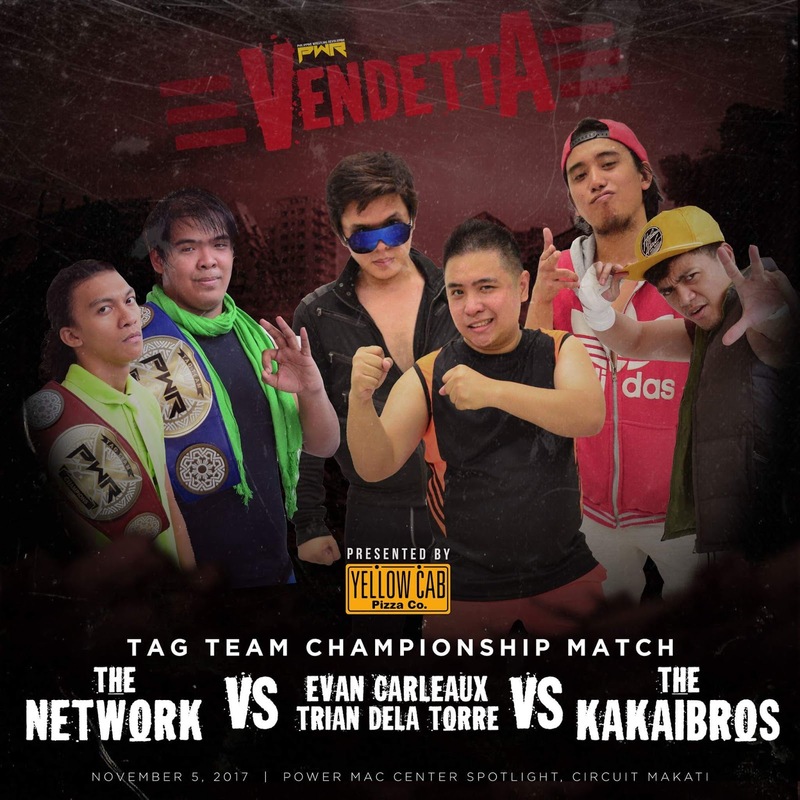 The newly-graduated Trabajador Tres put up a game fight against the ridiculously-handsome Cruz, but fell to some rookie mistakes that led to a Big Ending and Flapjack for the loss. Trabajador Supremo sent Quatro into a rematch against Kapitan PWR to reinforce the humility of defeat. Kapitan refused to let Quatro throw the match, and engaged him in a highly-spirited encounter that saw Quatro kick out of a top-rope splash. Quatro snapped a surprise Destino on Kapitan PWR for the win. An enraged Council of Trabajadores stormed the ring to lay the smackdown on their brother, laying both him and Kapitan out with a pair of High Spirits. Revo-Ranger made the save, which led to Quatro getting kicked out of the group. This was a chaotic match that saw loads of stolen finishers among the teams that led to multiple near falls. 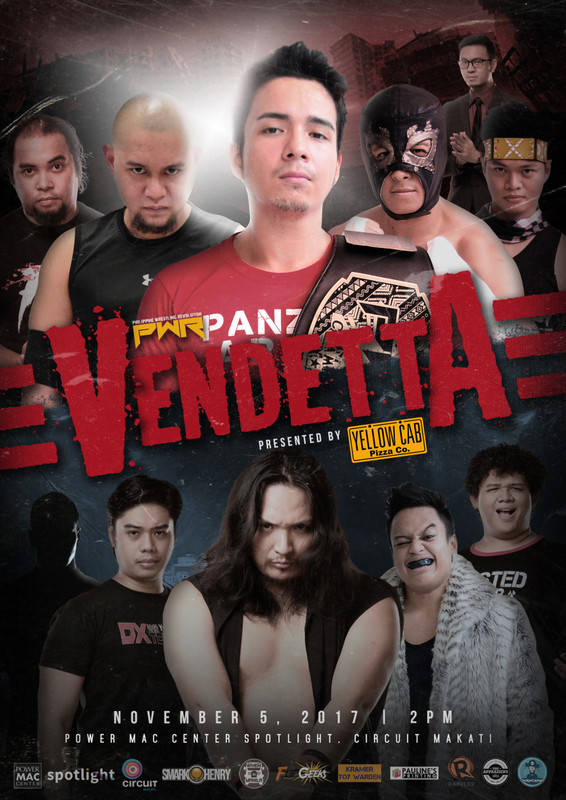 The KakaiBros thought they had the match won after nailing Martinez with a Snapshot, only to be interrupted by the shocking entrance of Coach Gus Queens and an army of talents from the Manila Wrestling Federation, including the dangerous Rex Lawin. The Network took advantage of the distraction to wrap up with their defense with a Pay-In Deluxe. Queens stood proudly in the ring with the Network after the match. This was an old-fashioned catfight that saw chants of "Teleserye!" from the crowd. Crystal looked to be in control of the match, but ended up getting preoccupied with Robynn on the outside. Martivo struck with a Grabe 'Tey for the win. A vengeful Crystal laid out both Punk Dolls with a Singapore cane after the match. The London Lucha League stars absolutely impressed the Revo-Nation with some crisp chain wrestling and high spots that saw the YOLO Twins flustered and bamboozled, including a beautiful Standing Shooting Star Press by Tengu. Tengu and Hertz seemed to have the win stitched up after nailing both a top-rope frog splash and a double-team electric chair-Codebreaker, but fell victim to some crafty interference by Ken Warren on the outside. 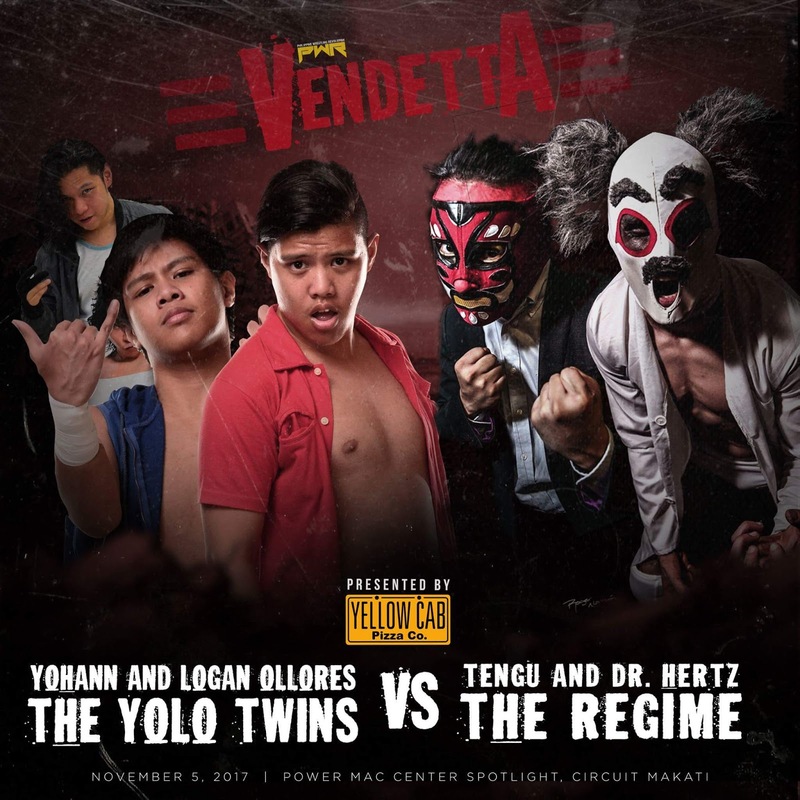 Yohann and Logan blasted Tengu with a Two Night Stand to steal the win. Ladders. Steel chairs. Kendo sticks. Even a keyboard. You name it, this match had it. 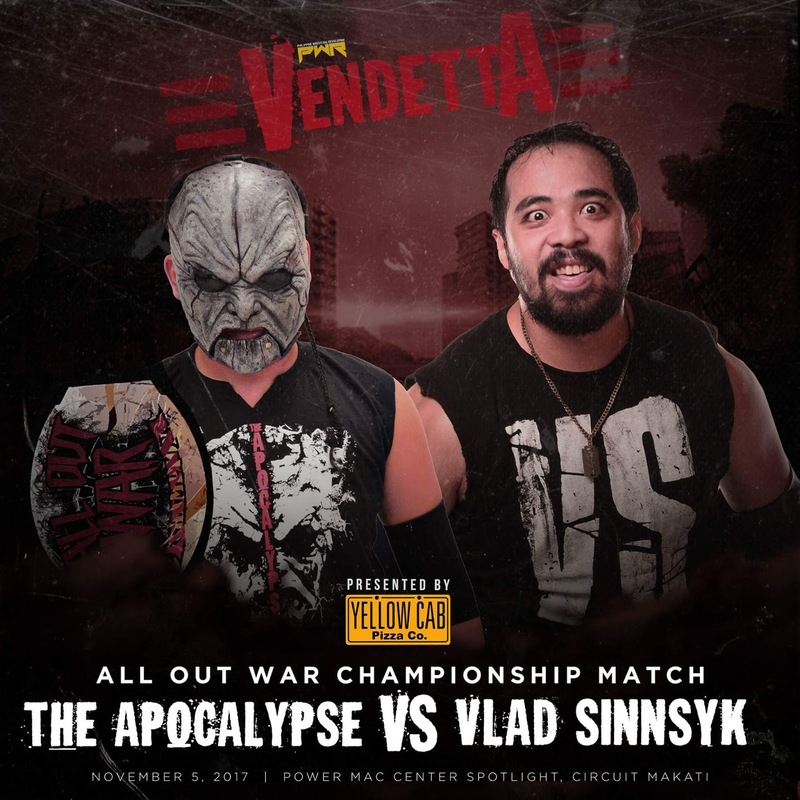 Sinnsyk showed off a degree of ruthlessness Apocalypse had never before seen, driving him through a pair of improvised tables with an off-the-ladder powerbomb, followed shortly after with a Muscle Buster for the win. 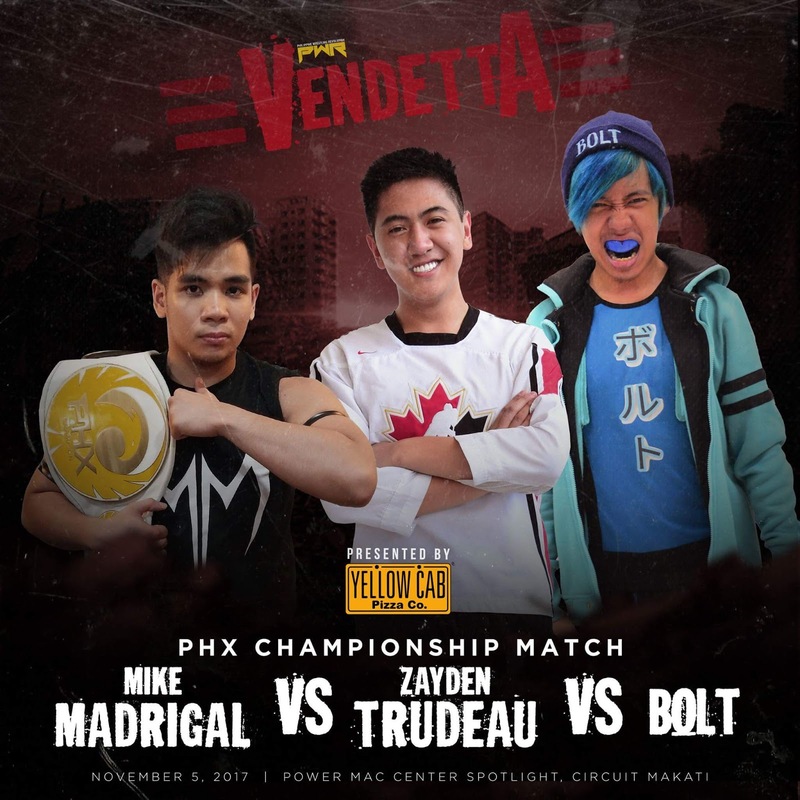 The Pambansang Kupal saw his PHX Championship reign extend once more after overcoming a spirited challenge from both Bolt and Zayden Trudeau. This match saw fantastic multi-man spots, including a modified Tower of Doom, and a Doomsday Forearm by Trudeau and Bolt on Madrigal. Confusion reigned after Madrigal tapped while simultaneously trapped in a Trudeau Sharpshooter and a Bolt crossface, which the referee declared as ineligible to end the contest. Madrigal used a Go To Sleep to finally put Trudeau away. 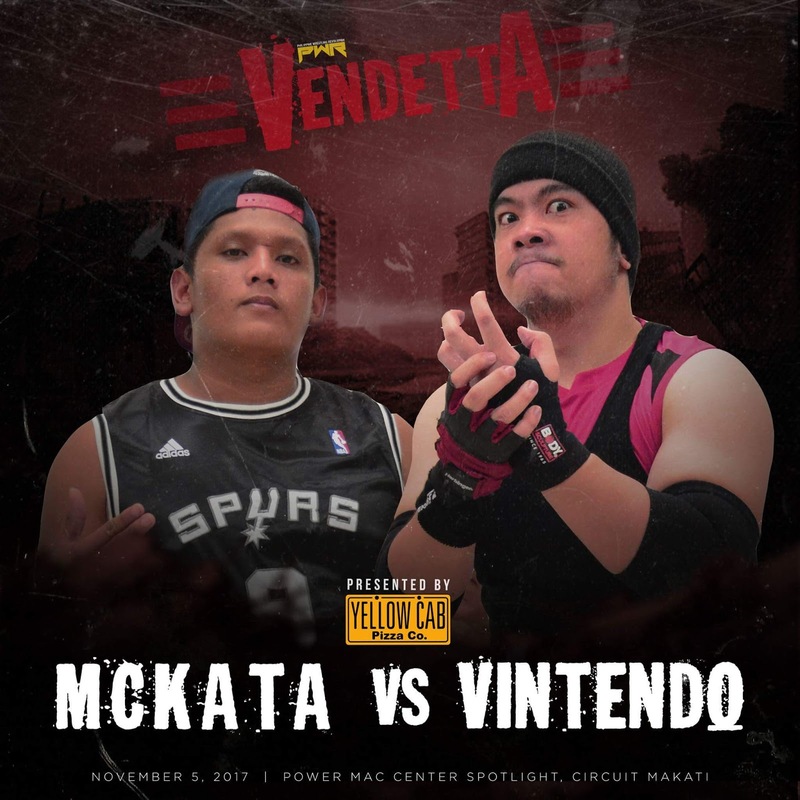 Vintendo finally put his lengthy feud with McKata to rest in a short power match that ended with a Level 3 High Score choke slam off the turnbuckles. 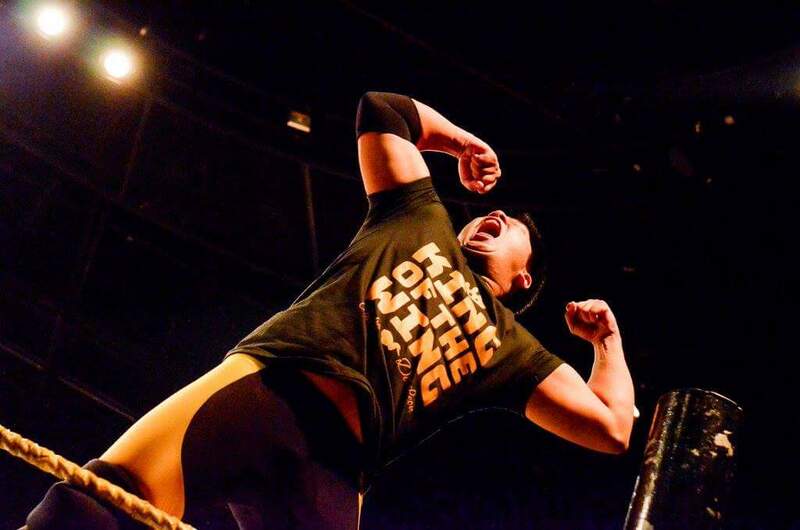 In the biggest swerve in PWR history, Jake De Leon revealed himself as John Sebastian's fifth man. Jake De Leon eliminates Joey Bax with the Inasal Lock. SANDATA eliminates Peter Versoza with the Kidlat. Rederick Mahaba eliminates SANDATA with It's More Slam In The Philippines. Chris Panzer eliminates Rederick Mahaba via Eagle Splash. Ralph Imabayashi eliminates Chris Panzer with the Sonic Crusher. John Sebastian eliminates Dax Xaviera with the Killshot. 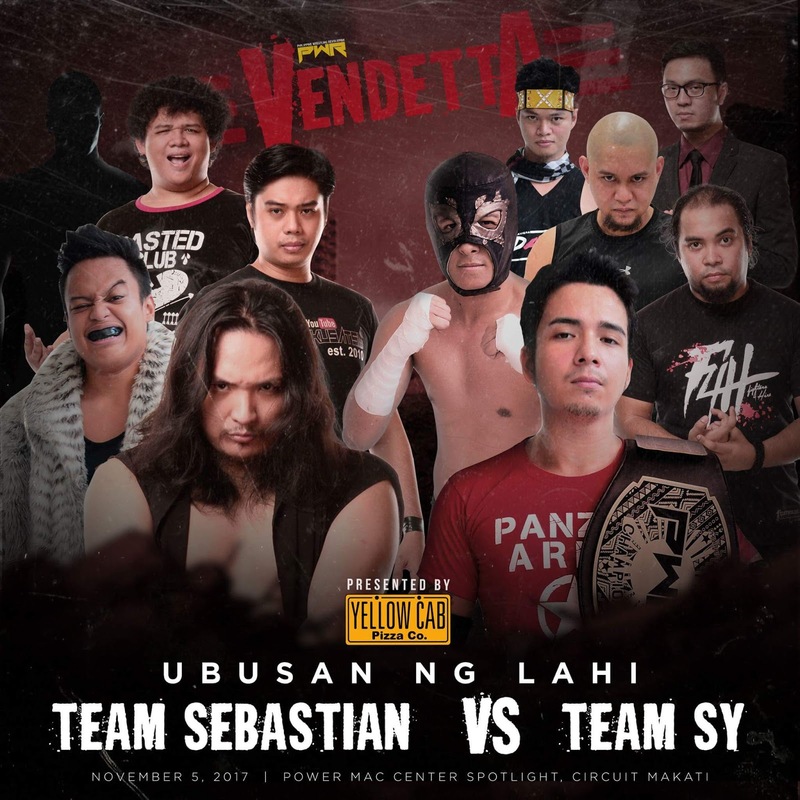 Miguel Rosales is the last remaining man for Team Sy, with three former PWR Champions across him in the forms of John Sebastian, Jake De Leon, and Ralph Imabayashi. But he showed immense grit, eliminating Sebastian with a Castigo Brutal F5 and JDL with a #BastusanNa Jackhammer. But Ralph was too much. A Senketsu was enough to seal the deal for Team Sebastian. John Sebastian wouldn't let Mr. Sy walk away with his dignity intact. A crushing Killshot to the now-former PWR General Manager ended the show. Winners: Team Sebastian. Ralph Imabayashi is the sole survivor. What did you think of PWR's last show for 2017, Revo-Nation? Were you satisfied by Vlad Sinnsyk's victory to become All Out War Champion? And what do you think of JDL as the biggest Benedict Arnold in the history of local pro wrestling? Let us know your thoughts, and we'll see you next year! Featured image by "Hidden" Hub Pacheco.